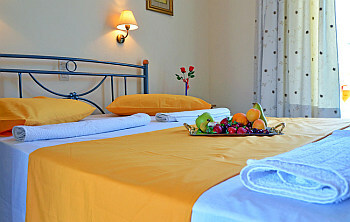 Neraida consists of eight studios suitable for 2 or 3 persons with the addition of an extra bed. 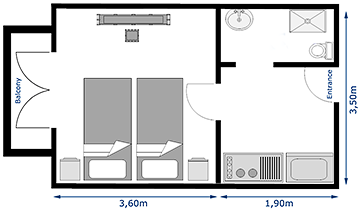 Each studio includes a double bed. 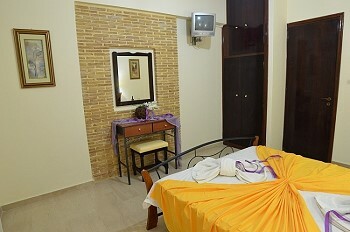 Two single beds are available upon request. All studios are beautifully decorated and feature a fully equipped kitchenette with cooking facilities and fridge, separate bathroom with wc, hairdryer, shower and accessories, air-conditioning, tv and a fully furnished balcony or veranda overlooking the natural green olive groves.